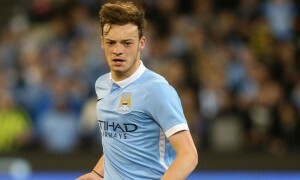 New Rangers boss Steven Gerrard is looking to sign Manchester City winger Brandon Barker on a season-long loan, the Scottish Sun reports. Barker, 21, caught the eye last season during his loan spell at SPL side Hibernian and that has led to not just Scottish sides, but several clubs in England’s Championship including Hull City, taking an interest. Mark Allen, who left City last year following seven years as Academy Director, is the sporting director at Rangers and will hope his connections south of the border can help him land Barker ahead of the competition. The Blues are open to letting Barker, once tipped to break through to the first team, go on a permanent deal, but Gerrard would prefer a temporary transfer for the time being. Barker’s current contract expires in 2020, and with an extension unlikely, City may look to cash in on the former England youth international this summer or next.